Parent Coffee Table Books: The Perfect Gift! 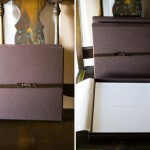 Another gorgeous leather album from Redtree. Supple, lovely, groovy brown, love it! 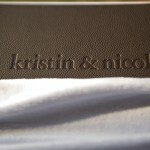 Congrats, Kristin & Nicole!